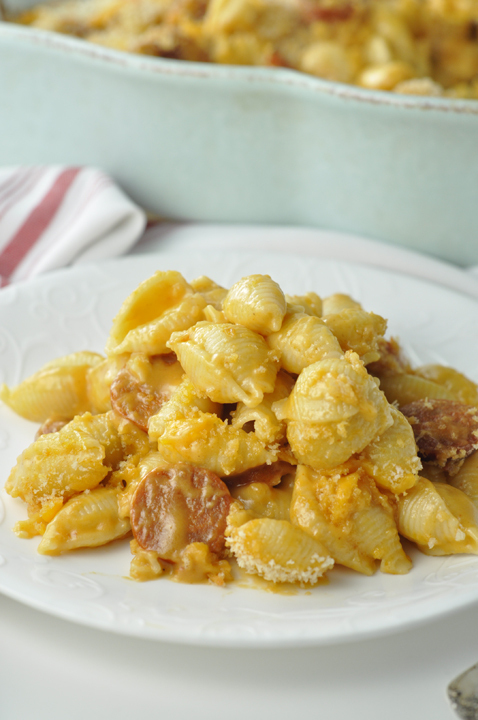 Buffalo Chicken Sausage Macaroni & Cheese recipe is all the flavors of Buffalo chicken and macaroni and cheese combined in one tasty, comforting dish with a slight kick to it! 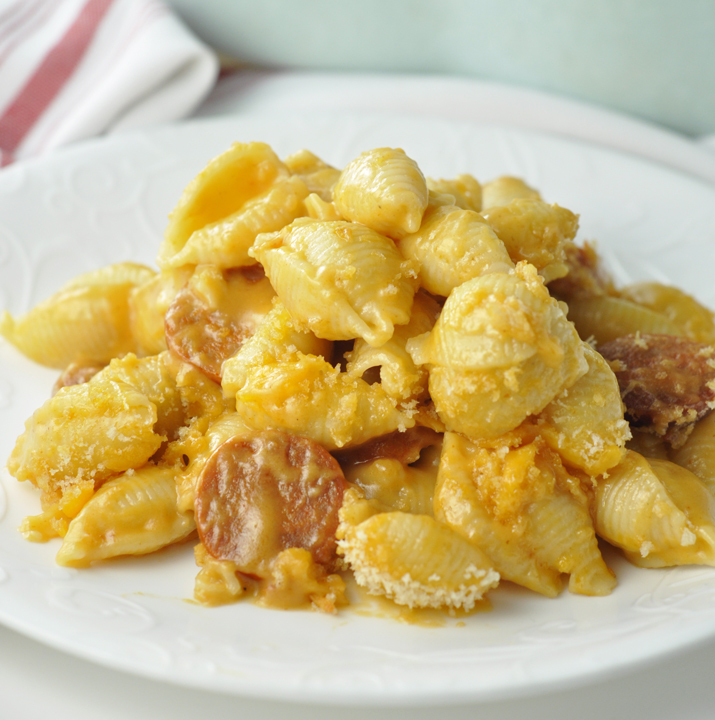 Including this new Buffalo Chicken Sausage Macaroni & Cheese recipe, I probably have more macaroni and cheese recipes on Wishes and Dishes than other other type of food. I have a serious problem (if you can really call that a problem)! It never ever EVER gets boring, but I do like to find new and exciting ways to prepare it. What can I say, my inner 5 year old can’t help myself when it comes to my favorite childhood comfort foods. This Buffalo Chicken Sausage Macaroni & Cheese was amazing and will be made again, and again, and again….you get the point. The flavors were so great and the amount of spice was just right – not too spicy but a bit of a kick. If you can’t really handle spice in your food you will still like this one – trust me. Along with the Buffalo wing sauce, I used Zweigle’s Buffalo Style Chicken Sausage for double the “Buffalo” flavor in this recipe. Zweigle’s is a 5th generation family-owned local business here in my hometown of Rochester, NY! Their chicken sausage is the BEST and it comes fully cooked, which means you can just add it to this macaroni and cheese as is. I like to slice it up and give it a nice golden brown color before adding it into my recipes for maximum flavor. This is not a vital step, however, and you can skip it if you’re in a hurry. 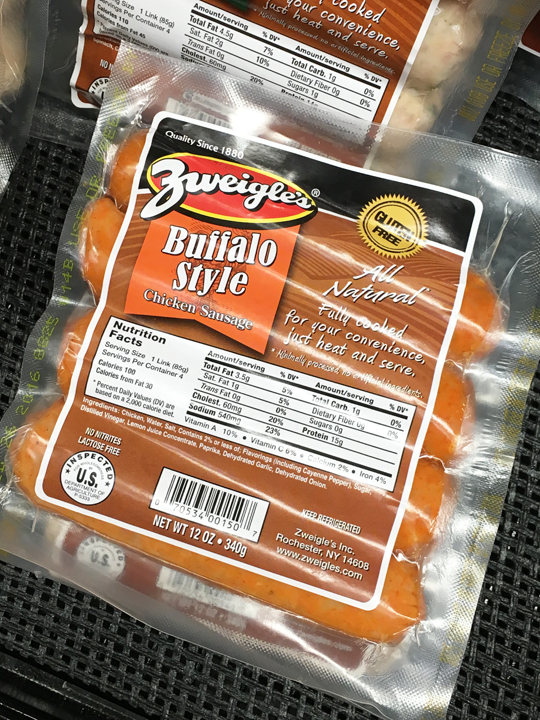 Zweigle’s Buffalo Style sausage is made from 100% boneless, skinless chicken meat with the perfect amount of tangy buffalo style seasoning. 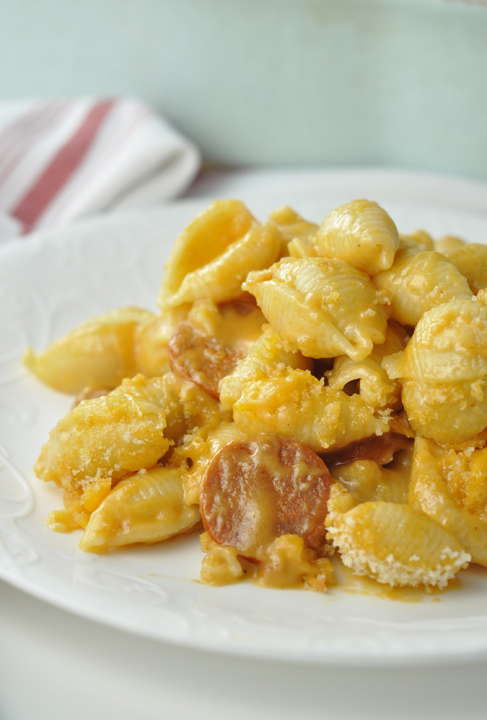 It’s just perfect in this Buffalo Chicken Sausage Macaroni & Cheese! Zweigle’s actually has 4 other kinds of chicken sausage (Spinach and Feta, Italian, Chorizo, and Lime Chipotle) so it’s easy to find one to fit into so many different recipes. 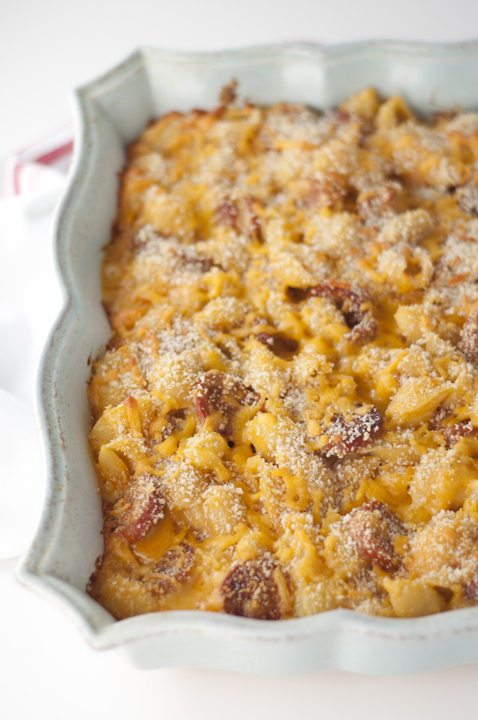 This Buffalo Chicken Sausage Macaroni & Cheese is rich, rich, rich and such great comfort food. The leftovers were actually even better the next day which is a huge plus in my book. 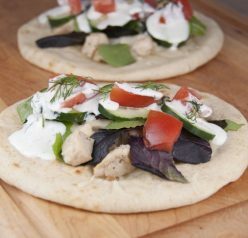 Kids will love this and it’s also great to bring to a party or potluck. 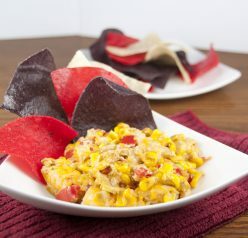 You can also get more great recipe ideas and purchase Zweigle’s products online (if you don’t have them available to you locally) by heading on over to Zweigles.com. Happy cooking! If you like this, you will also love this Crock Pot Macaroni & Cheese or this low-carb Macaroni & Cheese from my friend Kalyn that uses buttermilk – brilliant! Brown the chicken sausage slices a bit on both sides. Set aside. Cook pasta to al dente according to package directions and drain. While the pasta and chicken sausage are cooking, heat saucepan over medium heat and add butter until melted. Add the flour once the butter is melted. Whisk the flour and butter together and continue to cook for about 1-2 minutes until golden, whisking continuously. Slowly add the milk and turn the heat down low. Stir frequently until the the sauce thickens and then add in the cheeses. Stir until mixture is smooth and cheese is completely melted. In a lightly greased 9X13 baking dish add the pasta and chicken sausage. Mix together well so that the chicken is evenly distributed. Pour cheese sauce over the top and make sure to coat the pasta evenly. Sprinkle with Panko bread crumbs and the extra ½ cup of cheese. 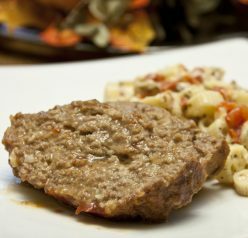 Serve with a side of ranch or blue cheese dressing, if desired. Enjoy! My family are Mac and cheese fiends! That sausage sounds like a delicious addition! This looks fantastic! I love the flavors! I haven’t had macaroni and cheese in so long. You are inspiring me to make some. This really sounds super tasty! Ok, my husband LOVES anything buffalo chicken and this is just pure GENIUS! I can’t wait to make this! Love mac ‘n cheese! And it’s impossible to have too many recipes. Impossible. 🙂 This looks so flavorful — such good stuff. Thanks. One can never have enough mac and cheese recipes!! This flavor sounds delicious! Give me a giant bowl and fill it up, please! This mac and cheese looks killer! I am loving the flavors in this recipe. I think I’m going to have to make this for dinner this week! I love how cream and delicious this looks, and that dinner can be on the table in a blink of an eye thanks to the precooked sausage. Macaroni and cheese is never a serious problem haha, one can never have too many macaroni and cheese recipes! It’s true! haha 😉 I love that it’s spicy but not too crazy spicy! Also, I’m super in love with it because you used the shell pasta, it’s always been one of my favorites! I think I might be suffering from your so-called “problem” as well. I am all afflicted with a deep love for all things Buffalo flavored. My mouth is totally watering right now- looks divine. I love buffalo chicken, and this looks great!